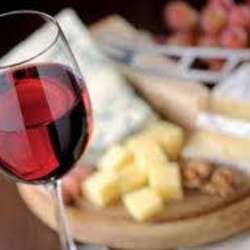 You must be a member of the Rome Wine Tasting Group to attend this activity. Would you like to join this group? ......Make new friends, indulge yourself delicious food & wine..
That, warm hearts 💖💖💖 and ensure more friendly contacts. Take all the time you need to discover the countless nuances of wine 🍷 at the Best Italian Wines of Luca Maroni in Rome. 🔹 Free and unlimited tastings. 🔹 More than Protected content labels and over Protected content cellars. 🔹 Food and wine laboratories. 🔹A special Luxury music event; Wine, other some Truffle, Cheese, Ham, Cakes, OLIVE OIL tasting. >> Take the free gadget, a cristal glass and its special bag.